Limited Edition of 40 Our jewelry designer, Fanny, meticulously handcrafts this intricate murano glass necklace, inspired by the rich history and atmosphere of her Venetian surroundings. Our artisan begins by masterfully interweaving varied, lampworked beads into sparkling rings. 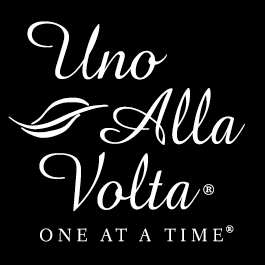 She then adds beaded spheres of sparkling faceted glass beads and gold-plated findings to finish each necklace, made exclusively for Uno Alla Volta. This Murano glass necklace is made, one at a time, from the heart and hands of the artisan; no two are exactly alike. Necklace measures 45in. long, with toggle closure. May be worn doubled or long for multiple looks. Limited edition of 40.